There’s a paradigm shift now in the way we’re approaching Africa. We want to provide linkages between business opportunity and social impact. Come and make money in Africa, but also make a difference. That’s a more sustainable model than in the past…Africa is the future. Arthur Mutambara is a robotics scientist, professor, and former Deputy Prime Minister of Zimbabwe. He is the Managing Director and CEO of the Africa Technology & Business Institute. Main research focus: wheeled mobile robots, decentralized communication in scalable flight formation, mechatronic design methodology, and modular robots. Arthur Mutambara is a robotics scientist, professor, and former Deputy Prime Minister of Zimbabwe. His main research focus: wheeled mobile robots, decentralized communication in scalable flight formation, mechatronic design methodology, and modular robots. Mutambara earned his BSc with honors in electrical and electronic engineering from the University of Zimbabwe. He was one of the first two Zimbabweans to win a Rhodes Scholarship (later to serve on the selection committee) to Oxford University's Merton College, where he received an MSc in Computation (1992) and a PhD in Robotics and Information Engineering (1995). As an MLK Visiting Professor, Mutambara was hosted by the Aeronautics and Astronautics Department. He has also been a visiting research fellow at Caltech, and a visiting research scientist at NASA and at Carnegie Mellon University's Robotics Institute. Since 1996 Mutambara has been a member of the US National Science Foundation and the Robotics Review Panel Committee. He briefly did management consulting at McKinsey and Company and is the Managing Director and CEO of the Africa Technology & Business Institute (ATBI). His political life began at the University of Zimbabwe, when he led a student opposition to the country’s ruling party. In 2006, Mutumbara became the President of the Movement for Democratic Change party and, from 2009 to 2013, went on to serve as Zimbabwe’s Deputy Prime Minister. 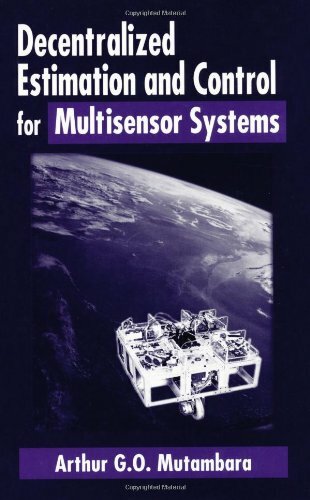 Explores the problem of developing scalable, decentralized estimation and control algorithms for linear and nonlinear multisensor systems. Such algorithms have extensive applications in modular robotics and complex or large scale systems, including the Mars Rover, the Mir station, and Space Shuttle Columbia. Addresses how decentralized estimation and control systems are rapidly becoming indispensable tools in a diverse range of applications - such as process control systems, aerospace, and mobile robotics - providing a self-contained, dynamic resource concerning electrical and mechanical engineering. 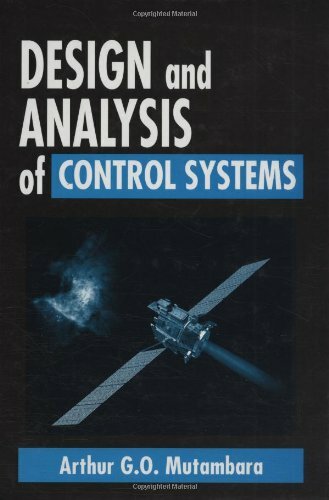 Written to inspire and cultivate the ability to design and analyze feasible control algorithms for a wide range of engineering applications, this comprehensive text covers the theoretical and practical principles involved in the design and analysis of control systems. From the development of the mathematical models for dynamic systems, the author shows how they are used to obtain system response and facilitate control, then addresses advanced topics, such as digital control systems, adaptive and robust control, and nonlinear control systems.